Wheatgrass Research - Charles Schnabel and other scientists began studying wheatgrass in 1932. They determined the best climate, location, soils and stage of growth for highest nutritional density. They developed equipment to dry the wheatgrass at low temperatures. 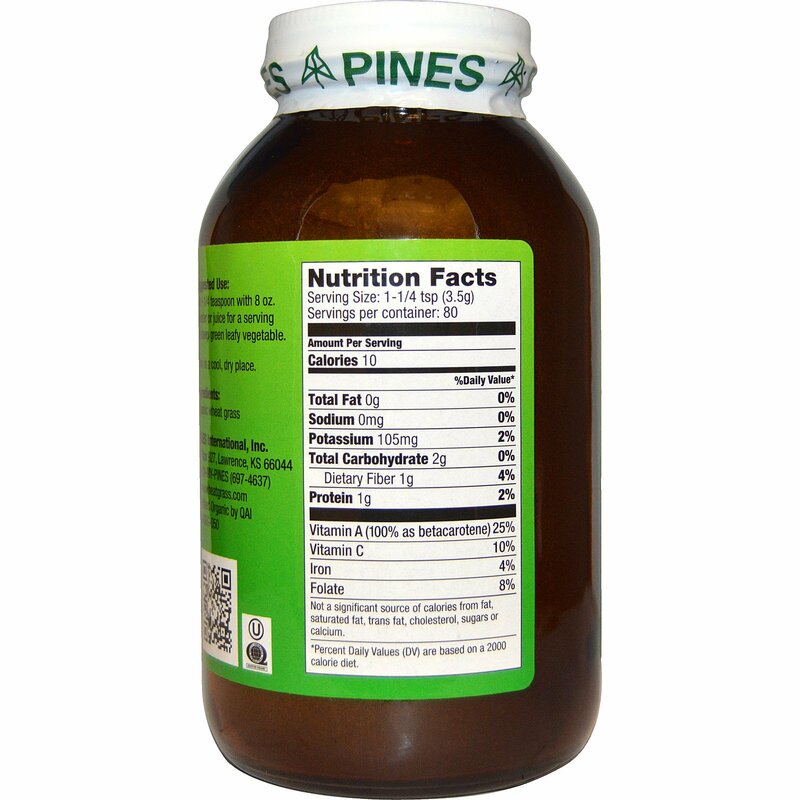 Pines follows these growing, harvesting, drying and packaging standards established by Dr. Schnabel. 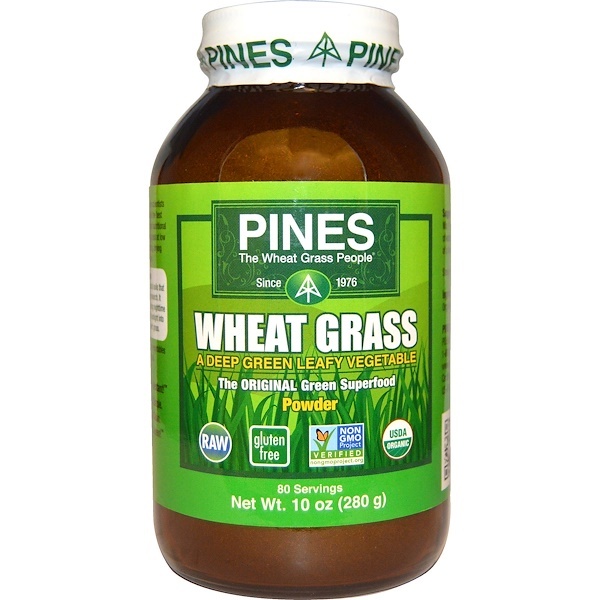 Pines Wheat Grass is grown in the same kind of glacial soils that produced the most nutritious wheatgrass in the research. It matures slowly, outdoors, during cold months. Freezing nighttime temperatures and cold days convert months of full sunlight into nutritional density, while the plant remains a short grass. Discover total health by consuming more dark green vegetables and essential whole food fiber with Pines Wheat Grass. The Vegetable Nutrition You Need - In An Instant! Mix 1-1/4 teaspoon with 8 oz. of water or juice for a serving of a deep green leafy vegetable. Not a significant source of calories from fat, saturated fat, trans fat, cholesterol, sugars or calcium.